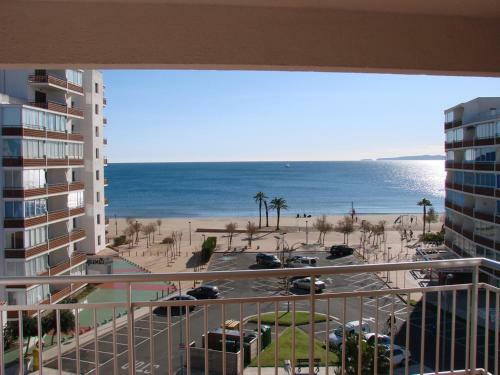 Situated on the beachfront promenade of Roses J&V Sol i Mar 17 Apartment offers a panoramic sea view and includes air-conditioning. Santa Margarida Beach along with shops and restaurants are a 5-minute walk. This apartment features satellite TV, a living room, and a dining room. The kitchen includes coffee maker, refrigerator, oven and a washing machine. Guests will find 2 twin rooms and a double bedroom. There are 2 bathrooms with 1 bath tub. Towels and linen can be provided upon request. The Girona Costa-Brava Airport is 50 minutes away by car. The Tourism office and buses are a 20-minute walk from the apartment. Monastery de Sant Pere is only a 30-minute drive.